A lot of the early leadership theories were concerned with something called the Great man and trait theory. This is a very old school idea about great leaders being born. In a sense, it evokes a lot of the paternalism of earlier times, which is currently the focus of everything from the #Metoo movement to a new wave of feminism that has yet to crest across the develop world and beyond. However, this is not the only problems with trait theory. First of all, the idea of the great man, excludes any mention of women. Many studies have suggested that woman tend to be better leaders, given their more developed emotional intelligence and capacity for understanding. The Trait theory could also be seen as defeatist. The idea that you are either born with something or you are not, runs contrary to the thirty-years of development we have invested in others at H-Training. We will say it again for all of you who have yet to join us in the training room. Leaders and not (always) born. They can be developed. Granted, some quicker than others, which for organisations looking to control resources, this time difference can be a significant factor. But there is still room for growth if the candidate is capable of honest self-reflection within a reasonable timeframe. The great man and trait theory essentially promotes the idea of the leader as a genetic lottery winner. Many of the examples used include such figures as Abraham Lincoln and Mahatma Ghandi appearing in the world as the iconic figures they would become. However, it is easy to pick apart these arguments. Firstly, Lincoln’s resilience was burnished in the great struggles of his childhood. Having lost his mother at a young age and struggling with his father’s harsh attitude to him, it was his step-mother who taught him the gentleness and consideration that the world still celebrates. Growing up on a dirty farm in 19th century America was no easy-life and yet in Doris Kearns Goodwin’s incredible book on Lincoln’s administration, A Team of Rivals, she writes how the great emancipator came to believe that early exposure to struggle was in fact an asset in later life. Unlike others who come from more comfortable backgrounds, the inevitable setbacks and struggles of life tend to surprise them more, whereas those more experienced almost come to expect strife, and are therefore more equipped to handle it when it does arrive. Furthermore, Ghandi’s great sacrifices and near death from hunger strike were born out of his contempt for the violence perpetrated by the British Empire in his native India. He was also not a natural pacifist. In Louis Fischer’s acclaimed biography, he relates the story of Ghandi throwing his wife out of their house having become angry with her back when he was a besuited lawyer. However, this experience served as a reflective landmark in Ghandi’s life and would later lead to his great shift into pacifism and becoming the Mahatma. 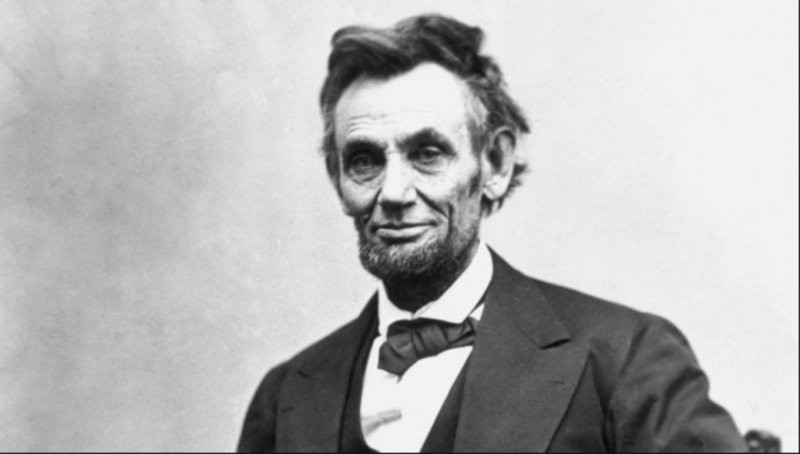 Lincoln personified hope, which was the very thing he struggled to have in his own life, through the depressions and losses he suffered in his early years, and not even to mention the death of his son, Willie, in 1862 in the midst of the American Civil War. Ghandi, turned his rage into peace and perpetrated a message and practice of non-violence resistance. Both of these figures, were products of their respective environments and circumstances. They did not enter the world like that. The world made them that way. They are obviously extreme examples and it is perhaps due to their circumstance that we know about them. However, this highlight the possibilities. Change, is very real and very possible.